Decorative: Interior parts have polished metal finish. Black & White: Interior parts have plastic covers. 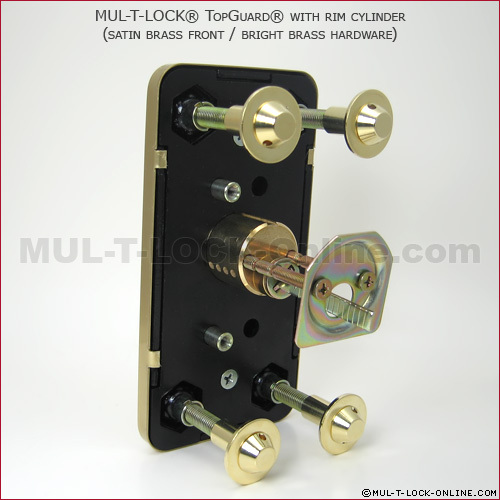 MUL-T-LOCK's Top-Guard is a reinforced hardened steel face, concealed by a decorative coverplate protecting a MUL-T-LOCK MT5®+ high security Rim Cylinder. Designed to uphold to the most determined attempts of physical attack the Top-Guard takes cylinder security to the next level. 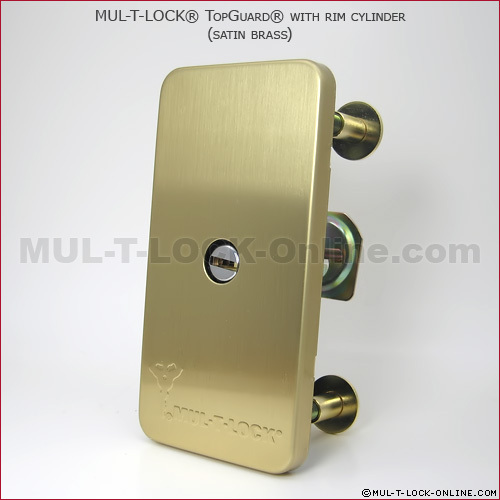 It greatly enhances the security of Segal® lock and many other brands of rim type locks (jimmyproof deadbolts, deadlocks, dropbolts, slam locks). Thick steel and through mounting bolts resist wrenching, prying, drilling and hammer attacks. 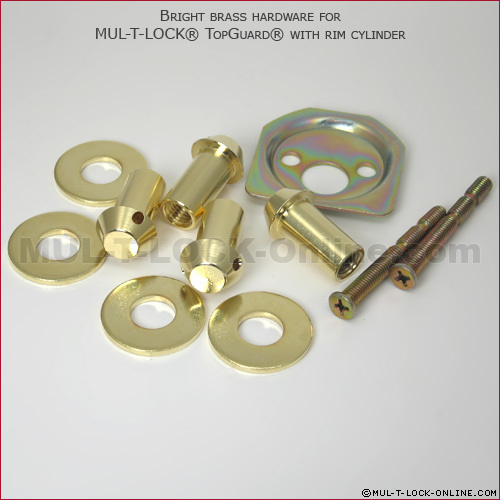 Hardened steel plug protector resists cylinder drilling attacks. Removable decorative cover plate enhances appearance and can easily be replaced if it becomes damaged.